So I don't know how this keeps happening, but each weekend I keep finding myself back in Jersey. 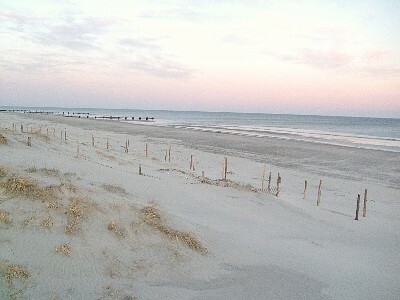 This past weekend I just went home to decompress and take a frolic on the beach in this awesome weather. Too bad it was 37 degrees outside. You can't see the cold...but it's there. So bypassing my own plans to prance around the beach, I opted instead for (wait for it) a movie. Except this time Billiam and I sneaked out of the house and left Mama at home (sorry, Cath). 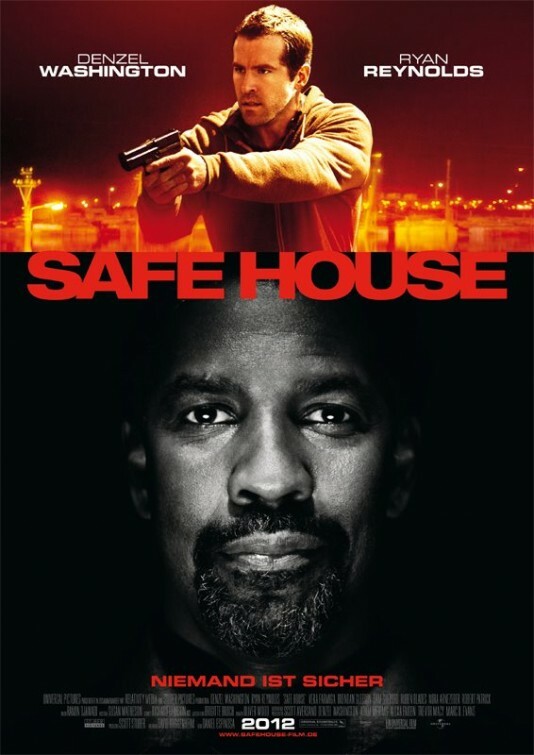 This round we went and saw Safe House starring Ryan Reynolds and Denzel Washington (swoonfest). 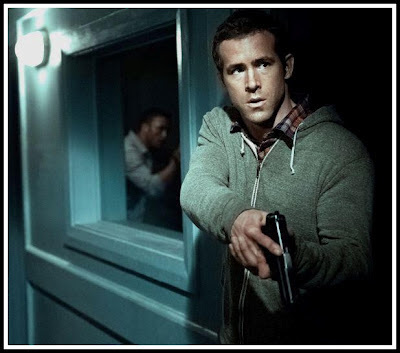 The movie start off with Matt Weston (Ryan Reynolds) and his girlfriend (Nora Arnezeder) in South Africa and chatting about all the different places that they'd like to move. Come to find out about five to ten minutes after that that he has made a cover for himself and has lied about his actual job to his girlfriend. He is, in fact, a "housekeeper" for the CIA. Housekeepers, you come to find out, are the people that run safe houses for the government, housing high profile criminals while the government tries to get information from them or decides what to do with them. Matt sees close to no action, though, spending his days throwing a tennis ball against the wall. Enter Tobin Frost (Washington), a high-profile criminal who has been on the run from the US government for years. After meeting Matt, the scene then switches to Frost meeting a friend of his and getting a valuable file (we don't know what's on it). Soon after there is gunfire, a killer chase scene, his friend is killed in transit, and Frost, seeing no other option, surrenders to the American Embassy (this all also takes place in South Africa, fyi). Soon after, our two heroes are smooshed together, Tobin being led to Matt's safe house so that the CIA can question him on same random stuff. All hell breaks loose when the security of the safe house is compromised and the team that has led Frost there is all left for dead, leaving poor Matt to deal with this terrifying mind-messer-wither. He is, in fact, reading his mind. As the plot unfolds, however, it becomes increasingly (and then decreasingly) difficult to figure out if Frost is a good guy or a bad guy, giving Matt tips and eventually even helping him with his own demise. This movie was actually pretty interesting. While I have got to say I'm not sure about how I feel about Matt crying through, like, 2/3 of the entire film, it brings some realism into a genre that is usually reserved for badass, emotionless secret agents. Matt's dewey eyes are maybe a little over the top, but they also make you realize how terrifying it actually is to be a spy, what the level of trust is in that secret of a branch of government, and the self-searching problems that you would have with that kind of a job. While he is no Jason Bourne, Matt Weston is almost more believable (if less entertaining to watch) as the only character in the film with any kind of moral fiber. Am I holding this gun right? 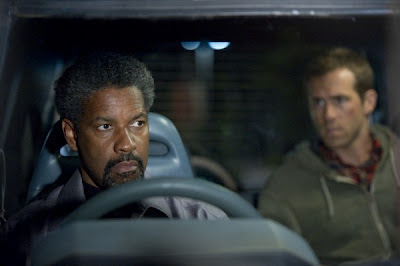 Denzel is also totally his usual badass self as Tobin Frost. In the beginning you are somewhat convinced he is a sociopath, but as he helps Matt Weston question the duties of his job and the trust that he has wholly put into the American government, you being to realize that he is the exact opposite of a sociopath, and just a jaded ex-agent who is trying to bring sense to Matt. Very well acted. A cool commentary about patriotism, corruption in government, "the system" and who you can and cannot trust. Not bad.